As discussed in a Metal Injection interview from earlier this week, Joe Duplaintier of Gojira was faced with a serious challenge for their new offering; creating a NYC home base and recording studio for the now bi-national band. The achievement, known as Silver Cord Studio, is one of the largest fully equipped recording facilities you’ll find in the big apple today. It’s also the studio where Gojira fully recorded their upcoming album, Magma, and has now been opened to the public. 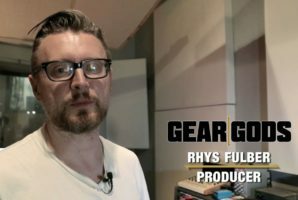 Take a peek inside Silver Cord Studio for the first time, as Joe from Gojira gives us a complete walkthrough. For booking and more information on Silver Cord Studio visit www.silvercordstudio.com.